A Podcast is like radio-on-demand, you get it on the internet and you can listen to it on your mobile at any time you want. Confused about how to get a podcast or what it means to subscribe? To sign up to get Shipping Podcast episodes straight to your mobile or tablet, subscribe via one of the audio platforms below. Once you’ve subscribed, free episodes will automatically download when they’re released, you will not miss out on anything! 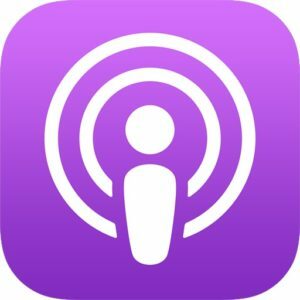 For iPhones and iPads, use the Podcaster app. You get it from the App Store (newer models has it installed from delivery) – it’s pink. In the Podcaster app you search for Shipping Podcast and when you find it, hit subscribe. For Android phones and tablets, the Stitcher app will do the trick. Get that from Google Play. In Stitcher, search for Shipping Podcast and click the plus sign (+), to add it to your Favorites List. Now go to the Favorites List. Tell it to download new episodes by clicking the gear in the upper right corner.